Jesse Nunn has been drawing full figure people freehand since he was four years old. Later detail and more defined lines came along with challenges from his favorite grade school teacher Ms. Patrick. Then his 3D animation teachers and favorite lab teacher Mr. T. Patterson showed him to pierce the veil even further by converting his drawings into realistic models and textures, from photo to 3D, one could not tell the difference between fantasy or reality. Jesse is an aspiring film maker, photographer, and actor who studied at Full Sail University in Florida where he was selected for a special program of study with animators in the professional entertainment industry. 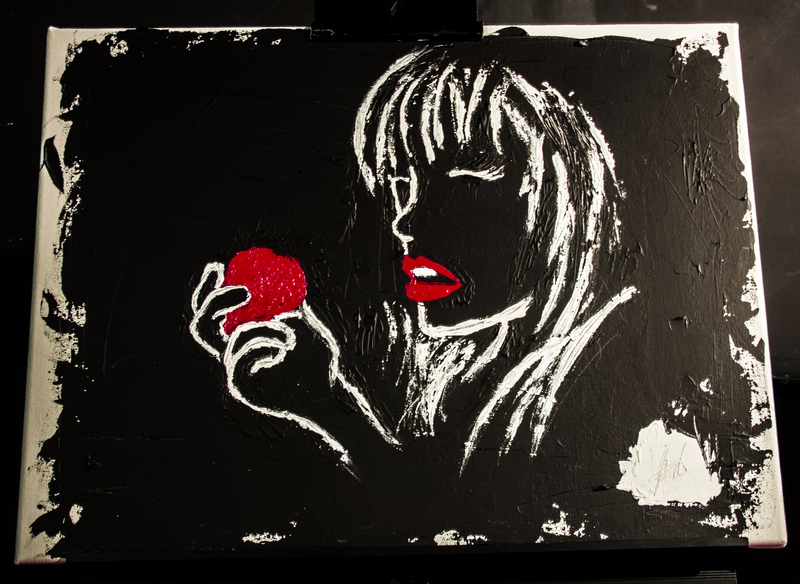 Jesse Nunn’s paintings are already in circulation, however, Theatre Bristol’s presentation of Snow White and the Seven Dwarfs, and this work of art specially created for the drama, marks Jesse Nunn’s first official unveiling of a painting. For Jesse, this project was something he had wanted to do for a long time. Artists dream of being able to paint different childhood stories in the way they perceive them to be. Proceeds of this project jointly benefit Theatre Bristol and Jesse Nunn’s next project. Current bid on the project will be updated on the homepage of the website. To outbid the current bid, email info@theatrebristol.org with your bid and full contact information. The winning bid will be announced one hour after the close of the show on April 13. Thank you for your support of up and coming actors… and artists!